A major refurbishment within the existing envelope. A new floor was added above ground floor level to create an additional community space. As well as creating level access throughout the building, the environmental credentials of the building were improved through improved insulation and new underfloor heating systems. 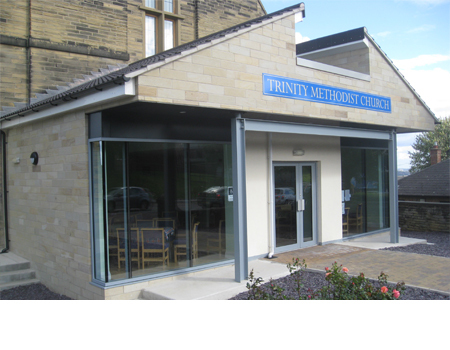 The entrance to the Church was dramatically altered in providing a large glazed area as a welcoming open approach to the Church’s activities.